The other night one of my staff messaged me and said he had written an article over a glass of red about why to vote yes to marriage equality and could I have a look at it. Not only did I look at it, I edited it and the next day, during work time, we strategised which journalist and publication to pitch it to. (And of course, it was picked up. Read it here). Now that is a scary thing to do. I know that personally. 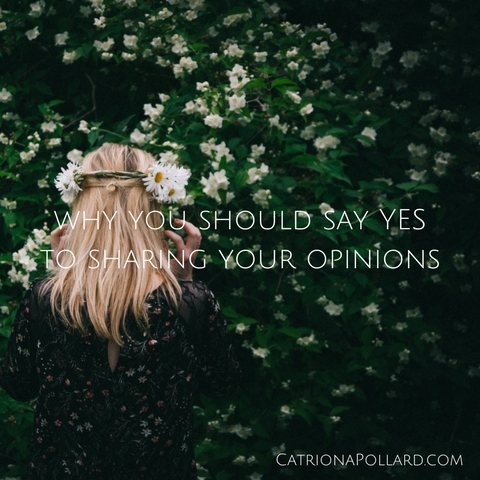 Being prepared to share your voice with the world puts you in a really vulnerable position, particularly on a divisive issue such as marriage equality. But here’s the thing. If not you, who? I believe we all have stories to tell that will help others in some way. We have experienced situations through our lives that should be shared because others will benefit from it. Or if we feel strongly enough about the issue, it’s our responsibility to express that, to affect the change we want to see. The world needs to hear what you have to say. If you don’t, you miss out on sharing your beauty with the world. You miss your purpose. Having the courage to be honest and exposed when you tell your stories through the media and social media will make them so much more impactful. They will start resonating with people. When you start telling your stories and sharing your expertise because it is helping the people who are listening or reading it, you will be amazed with the emotional connection that you start building with people and the relationships you start developing – because you’re positively impacting their lives. We live in a world where we are encouraged to compare ourselves to others. As soon as we do this, we start living smaller lives. We start thinking our stories are not as important as theirs. We need to have the confidence to know our stories are valid, not matter how big or small. So it’s about saying YES to your voice, to equality and to love.